Let me start by saying that I am not a Transformers fan. 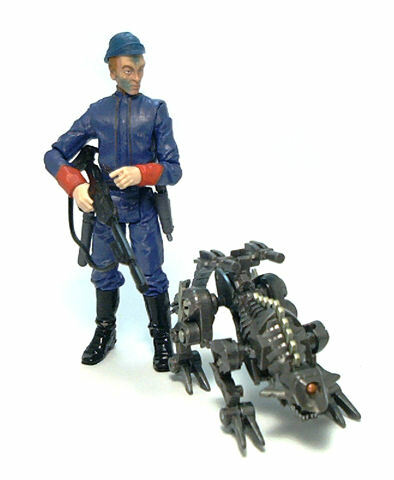 I missed the old cartoon and it’s companion toy line by a couple of years and besides, by the time I was eleven I was entirely in the grip of Kenner’s Star Wars toys, so Transformers were not a significant part of my childhood. Nevertheless, cool is cool, no matter what, so the other day when I walked past the Transformers aisle, something caught my eye. It was some sort of cybernetic animal on a rather small bubble card. It looked extremely cool and quite detailed. 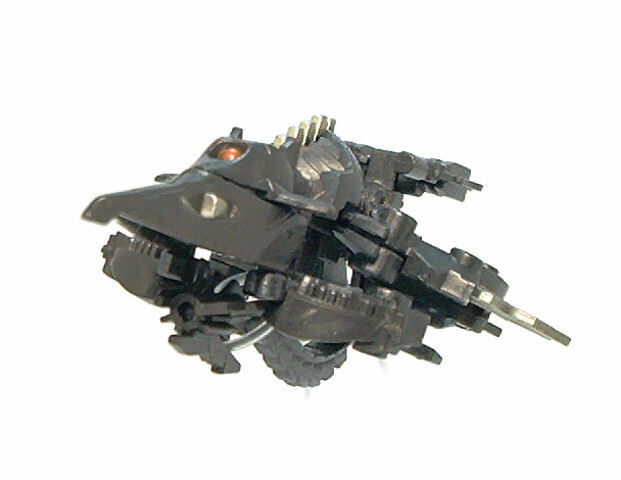 It was Ravage, released within the Legends Class assortment for Hasbro’s Hunt for the Fallen sub-line. As a 1:18 scale collector, I immediately saw it’s potential as a companion for a few of my action figures. Legend Class figures are amongst the most inexpensive functional Transformers you can have, and to be honest, not all of them are quite as well executed as Ravage. Other than it’s allegiance to the Decepticons, I still know near to nothing about Ravage and I kind of like it that way, since the toy is cool enough no to rely on made up facts. 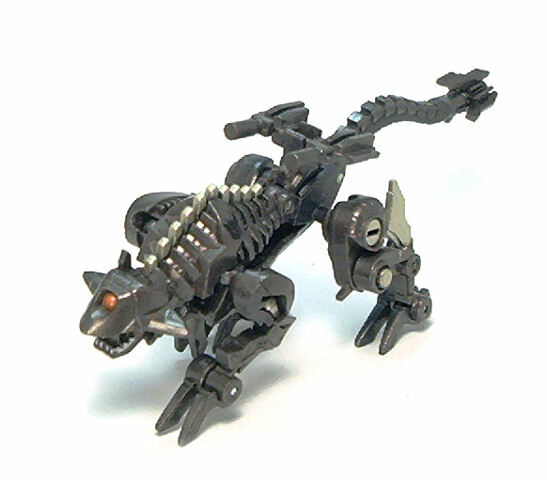 Ravage is about ½ inch high and 2 ½ inches long (not counting the tail) in robot mode, which makes him just slightly larger than the wolf figure packaged with the mute ninja commando from that other Hasbro line. The sculpture is very detailed and loaded with mechanical textures that would make Cyberdine Systems proud, if there ever is a need to wage war against household pets. 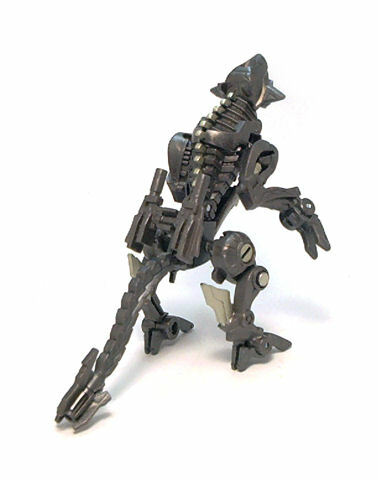 The whole figure is cast in a dark gunmetal gray plastic, with only a few silver touches at the mouth and muted gold paint applications for some sections of the spine and the hind legs. Ravage’s “eye” is painted in a much richer gold/copper hue. On the left flank, Ravage has the Decepticon crest painted in black. Now, I must confess that this isn’t exactly my first ever Transformer toy. Back when the first Michael Bay movie came out, I snagged a couple of the 5-6 inch figures of Optimus Prime and Bumblebee, which were pretty much non-transforming action figures (and cool ones, at that). But Ravage here is my first Fully Transforming Transformer ever bought, and I find it is good. 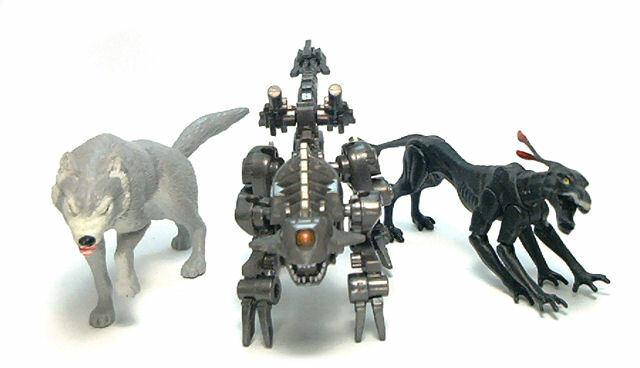 Sure, Hasbro does cheat a little bit, since Ravage isn’t meant to turn into a recognizable Earth vehicle. 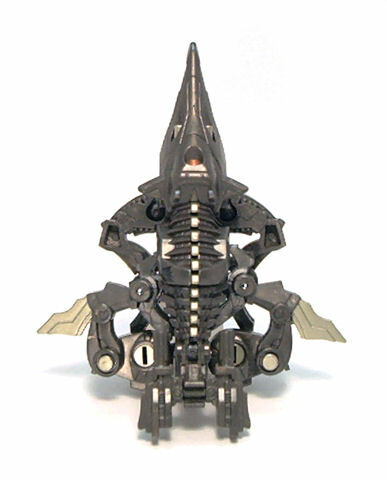 It’s alternate mode is an alien looking Re-entry pod with rather dubious aerodynamics, but if something as ungainly as the Millennium Falcon is supposed to be able to fly within a planet’s atmosphere, Ravage should have no problem falling from the skies in it’s alternate mode. • Swivel chest plate. It swings forward from under the neck to hide the lower section of the head, locking into place. • Ball jointed shoulders. These rotate freely and can tilt in all directions. Since these are mounted on a second hinge joint connected to the chest piece, they can also extend sideways. • Hinged waist. This joint serves to fold the hip assembly forward underneath the body and offers no sideways swivel range. • Swivel tail. It allows the tail to rotate in a 180° arc, allowing the tip to point forward underneath the chin in Re-entry mode. • Ball jointed hips. Similar to the shoulders but mounted on fixed mounts, thus limiting the amount of sideways tilt of the limb. • Hinged knees. These bend up to 90° going backwards and about 270° going forward. • Hinged claws. 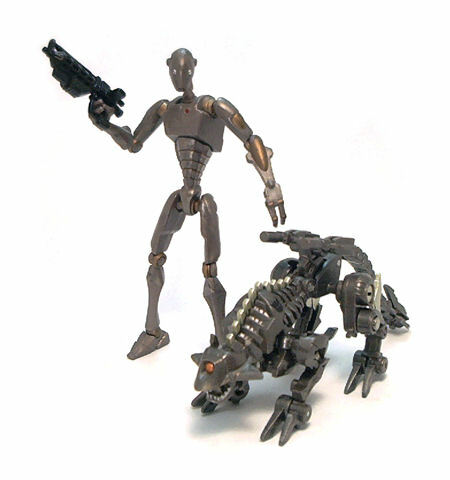 On both front and hind legs the claws are mounted on a swivel hinges, adding to the poseability of the figure. For a rather inexpensive figure, Ravage has very nice articulation. 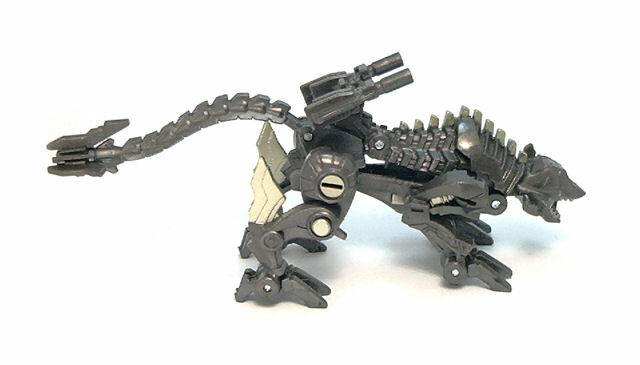 The head is pretty much stuck in place, and the front legs are also sculpted in a fixed elbow stance, but Ravage can still achieve a good number of poses. Transformers in this price range don’t often come with accessories, but Ravage is anything but harmless. 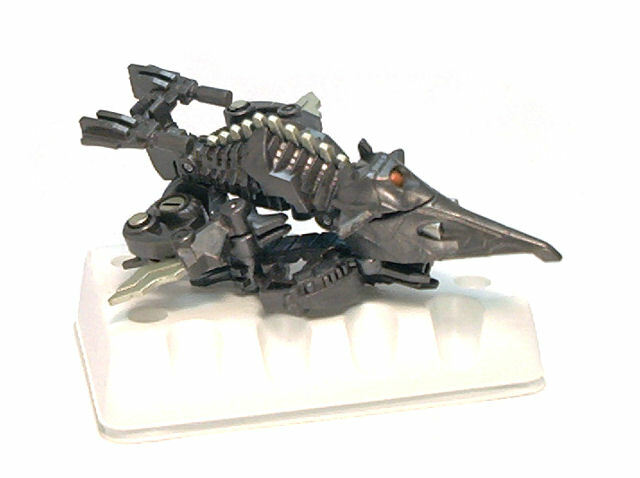 It has a swiveling twin gun mount right above his hips. These weapons would not see much use in robot mode and don’t really add a lot in re-entry mode, but I guess they had to be included. 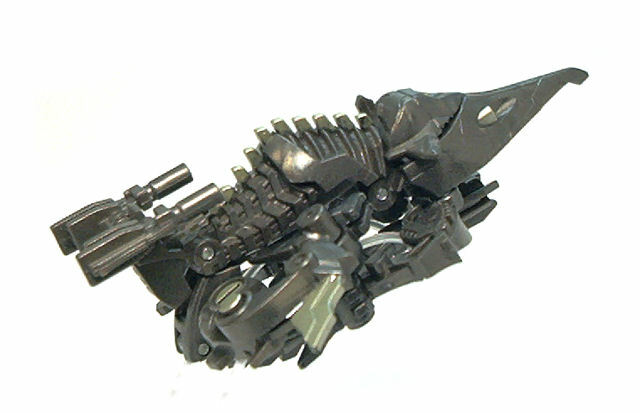 Legend Class Ravage is a pretty decent, cool looking toy. I’ve had mine all morning at work and every few minutes I get the urge to pick it up and tweak it’s pose a little bit, so even though I would not say I’m hooked on the line, I would probably pick up more of these Legend Class Transformers in the future.